Why should I buy a farm? Returns in farmland have historically been low in comparison to equities and other investments. Returns in farmland have historically been low in comparison to equities and other investments and farming yields produce between a 1% - 2% yield on a yearly rental basis and maybe more if the investor intends to farm in-hand. As with all other forms of property investment, location and quality are the two key factors. This applies to individual investors looking for their farm or estate where they are attracted to the prime land owning counties in the south of England, ranging from Gloucestershire, Hampshire, Berkshire, Oxfordshire down to Dorset, to the commercial farming areas of eastern England where the best commercial farmland is located in East Anglia, Bedfordshire, Lincolnshire up to Yorkshire. Individual buyers are inevitably looking for a principal house, protected by its own farmland without road noise or any other blights and are even more attracted to properties where there is sporting and amenity value. One of the rarest of breeds is the estate which contains a prime manor house, surrounded and protected by its own land with a commercial farming enterprise with sporting, including fishing and a shoot, and will always command a premium if brought to the market. For commercial farms for sale, quality of land is paramount and the infrastructure involved in the form of good farm buildings, grain storage and roads, tracks within the farm, drainage etc are also important features. There are a few things buyers must take into consideration before they are ready to buy a farm. Buyers must accept that land has to be considered as a longer term investment than, for example, equities, and its illiquidity, particularly if selling in a difficult market. 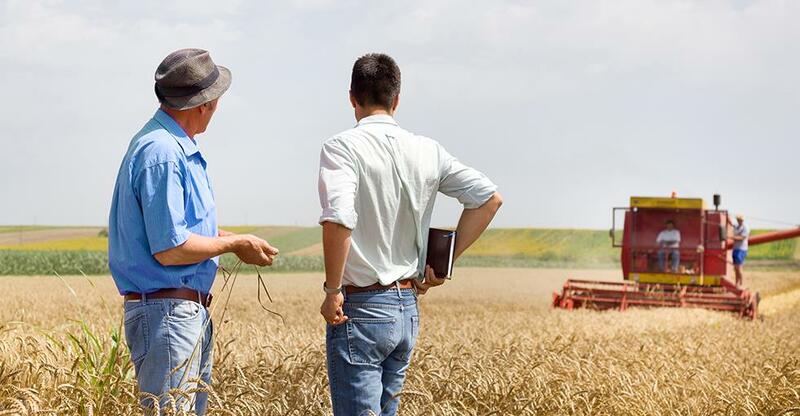 Given the laws, rules and regulations surrounding agricultural and land ownership, there are also many pitfalls to overcome when purchasing land. The UK land market has seen a meteoric rise in the last five years, but with any other market, values can go down as well as up. The recent increase in the supply of land for sale and lower commodity prices is putting increasing pressure on farmland values. According to Knight Frank’s Rural Farmland Index, English farmland values rose just 4% between December and June 2015, compared to 9% the previous year. And in the third quarter of 2015, the average price for farmland increased by 0.5% in the second quarter to £8,306 per acre. Figures from Savills last year indicated falling farmland values. Their assessment of the third quarter showed that the average values of British farmland dropped by 0.5% over the year to approximately £7,340 per acre. However, the average price for prime British arable land actually fell by approximately 2.4% over the course of 2015 to just under £10,000 per acre. Andrew Shirley , head of rural research at Knight Frank told Farmers Weekly that in contrast to the previous 5 years, supply had been increasing but low commodity prices were bearing down on land values, meaning that buyers are being increasingly cautious. However, he was also keen to point out that the demand is still high enough not to cause a massive drop in future prices. "In contrast, average grassland values have increased by a similar but positive percentage to around £6,440 per acre." "The divergence, over the past eight to ten years, between average values for arable and grassland and also between average values in England compared with those in Scotland and Wales may offer opportunities to buy." The recent slowdown in the arable market also means that many British farmers are seeking alternative options and diversifying to survive - using their land for both agricultural and non-agricultural purposes. Partner in charge of Private Property Search. Joined Strutt & Parker in 1981, based mainly in Southern England, and became equity partner in 2000. Set up buying service of Strutt & Parker in 2006, which has now been renamed Private Property Search and operates as the independent buying arm for the firm.